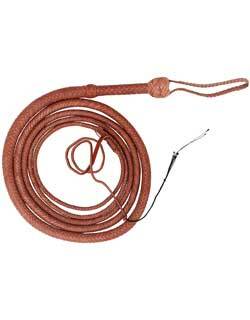 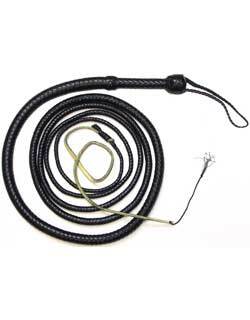 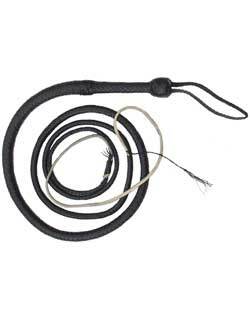 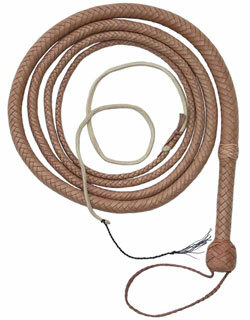 Whips continuously braided over a stiff handle are used in many regions, but this type was highly developed in the American West as a very heavy whip with a short handle. 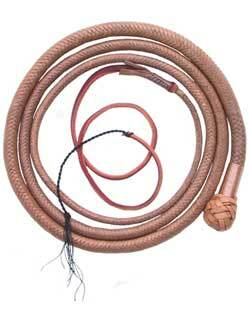 They are traditionally used for moving or loading cattle. 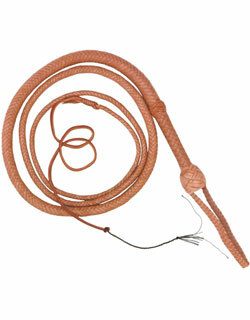 Bull whips are the usual whips of choice for American performers and stuntmen, particularly those doing Western-style acts. 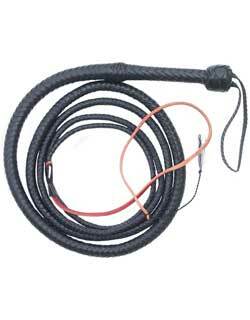 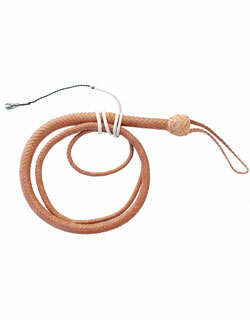 We offer two distinctive types of bullwhip, our own production and one hand crafted for us in Australia.